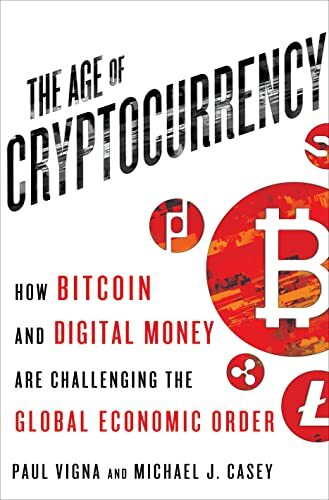 [PDF] The Age of Cryptocurrency: How Bitcoin and Digital Money Are Challenging the Global Economic Order | Free eBooks Download - EBOOKEE! Description: Bitcoin became a buzzword overnight. A cyber-enigma with an enthusiastic following, it pops up in headlines and fuels endless media debate. You can apparently use it to buy anything from coffee to cars, yet few people seem to truly understand what it is. This raises the question: Why should anyone care about bitcoin? In The Age of Cryptocurrency, Wall Street journalists Paul Vigna and Michael J. Casey deliver the definitive answer to this question. Cybermoney is poised to launch a revolution, one that could reinvent traditional financial and social structures while bringing the world's billions of "unbanked" individuals into a new global economy. Cryptocurrency holds the promise of a financial system without a middleman, one owned by the people who use it and one safeguarded from the devastation of a 2008-type crash. But bitcoin, the most famous of the cybermonies, carries a reputation for instability, wild fluctuation, and illicit business some fear it has the power to eliminate jobs and to upend the concept of a nation-state. It implies, above all, monumental and wide-reaching changefor better and for worse. But it is here to stay, and you ignore it at your peril. Vigna and Casey demystify cryptocurrencyits origins, its function, and what you need to know to navigate a cyber-economy. The digital currency world will look very different from the paper currency world The Age of Cryptocurrency will teach you how to be ready. 2017-01-12[PDF] The Global Economic Crisis and the Future of Migration: Issues and Prospects: What will migration look like in 2045? No comments for "[PDF] The Age of Cryptocurrency: How Bitcoin and Digital Money Are Challenging the Global Economic Order".